On Tuesday afternoon, Mrs Lynch was joined in the Creative Arts Department by 12 art specialist teachers from local primary and secondary schools. All members attending are part of an ‘Art Alliance Group’ that has been set up to support teachers delivering Art & Design in The Bay. The attendees were all keen on discovering new and innovative ways of delivering an imaginative and creative arts curriculum. Mrs Lynch discussed and demonstrated a number of different art and textile techniques inspired by ‘Other Cultures’. The attendees were delighted with the workshop and all produced a variety of samples and art ideas that they can later incorporate in their own teaching. The teachers who attended the session said they really enjoyed their afternoon at Torquay Academy and felt inspired and excited by the work that they produced. Year 10 drama students were lucky enough to visit TR2 in Plymouth. TR2 is the production and learning centre attached to the Theatre Royal in Plymouth. It is a bustling hub of professional prop making, set building, costume making and rehearsal spaces for many professional shows both touring and in the west end. It is the main space in the South West of England for this. Our pupils had the opportunity to explore the venue on a guided tour and were particularly excited by the Billy Elliot set and props that were being created in front of them. They also took part in a fantastic Workshop centered around their topic for their unit 1 drama exam ‘stolen lives of WW1′. The pupils were a credit to the school and the whole experience was memorable for all! On Thursday morning, 120 Year 1 and 2 students from local primaries Torre, Cockington, Shiphay and Watcombe attended a Multi-skills festival in the sports hall with Mr Jones and some Year 7 sports leaders. 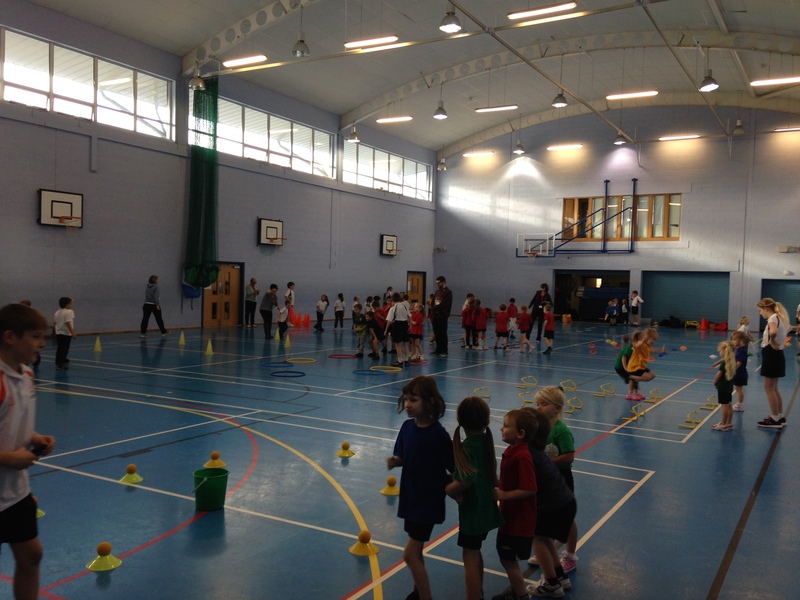 The sports leaders helped to deliver activity stations relating to throwing, catching and movement patterns. The primary school children were very enthusiastic, excited to be using the wonderful facilities at TA and conducted themselves brilliantly, appearing to have lots of fun. The staff were very complimentary of our Year 7 helpers and Mr Jones was very proud of them in their first attempt at leading a sports event. Considering that only a few months ago, they were primary school students themselves, they were very professional and mature in their approach. Year 2 students from Shiphay would like to say a very big THANK YOU to Mr Jones and all of the Year 7 children who helped them during the morning. The children said that the Year 7s helped them to develop their throwing, catching, hopping and jumping skills and they all had a fantastic, fun time. 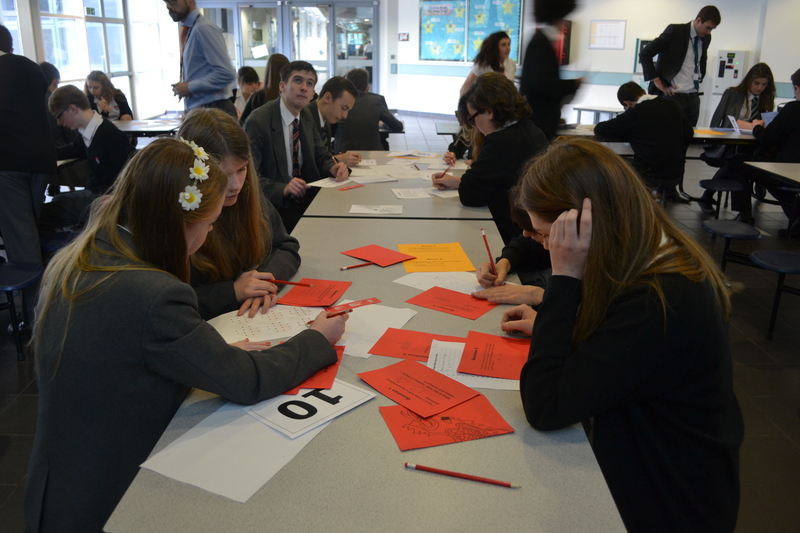 Last Friday was the inaugural Further Maths Conference hosted at Torquay Academy. The conference was a chance for the brightest students in the Torbay area to have a taste of what lies after GCSE maths. We had three visiting speakers from Plymouth University who tested the students with some A-level work and University level lectures on coding. Our students learned how PoWs during World War 2 sent messages home to help them escape from camps. It was a very interesting and eye opening day for all the students. We look forward to hosting an even bigger conference next year! Its been a jam packed week of Football at TA with 4 fixtures so far. The week started with Year 11 playing Teignmouth in the first round of the Devon Cup. TA were far to strong for Teignmouth running out comprehensive 9-0 winners. Tuesday saw Year 10 take on Exmouth in the first round of the Devon Cup once again. The team went in to the game knowing they were up against as Exmouth had reached the last 8 for the last two years in the National Cup. TA started well frustrating their opponents and making life very difficult for them. Unfortunately a well-known young man currently with Exeter City, decided to steal the show and put in an unbelievable individual performance to see his team run out 5-0 winners. All credit to TA who never gave up and kept working hard till the end. Wednesday saw the second 11 take on Newton Abbot College linked with Arsenal Soccer Schools in the South Devon League. TA dominated this game from start to finish controlling possession and eventually ran out comfortable 5-0 winners. Thursday saw the first 11 start their defence of the Devon Cup with an away tie against Queen Elizabeth Community College. The game was played on a very small, muddy pitch which was certainly a leveller to start. However the first team took control of the game and eventually ran out 7-1 winners with Joe Musker getting his first hat-trick and Alex Constantinou scoring an incredible goal that Mr Grinsill feels will not be bettered all year. Today the Year 9 Football team make the long journey to Penryn for their fourth round national cup game. The details and result of the game will be posted in next weeks blog. 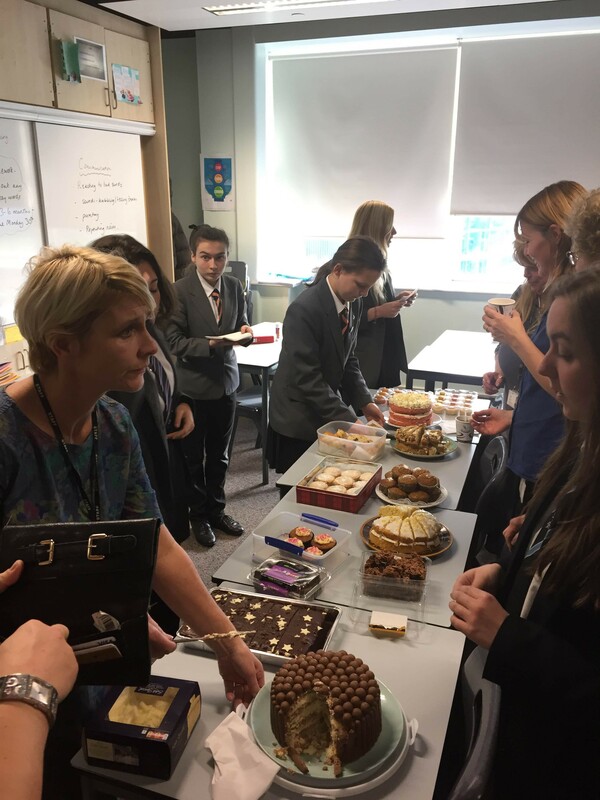 On Thursday 26th November Health and Early Years’ students organised a coffee morning raising money for the local hospice of Rowcoft. We enjoyed a slice of homemade cake and coffee over break, which was a real treat. Thank you to all of you that supported this worthwhile cause. During Curriculum Enrichment Week a select 14 students arrived in the Learning Café and attempted to learn how to drive a computer! Their task was to complete training, take a Diagnostic test and finally an Exam. Monday started with all being engaged on the training, (not before a few hiccups in the system kept them on their toes). All students made good progress during the day. 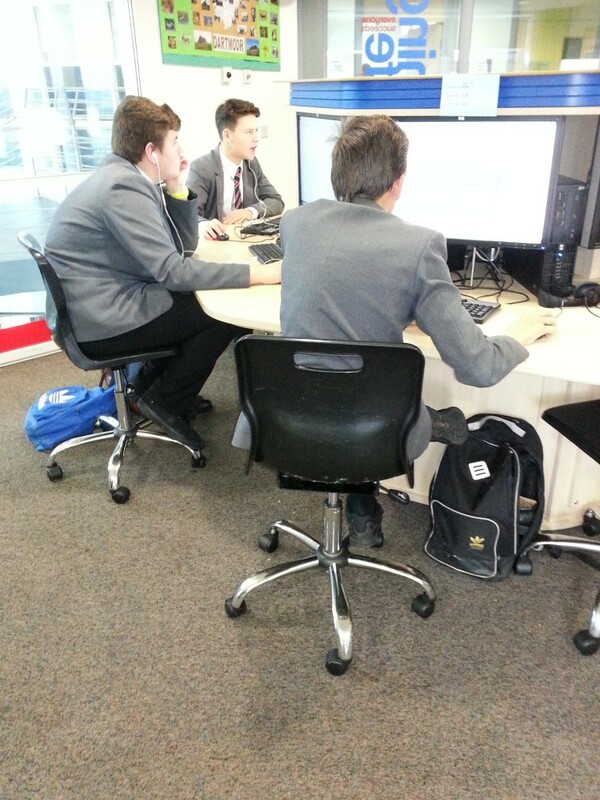 Tuesday saw those who were ready to take their Diagnostic test depart from the Learning Café to the Library ICT suite, again they were beset with a few technical difficulties, these were overcome and the students remained in a good humour. 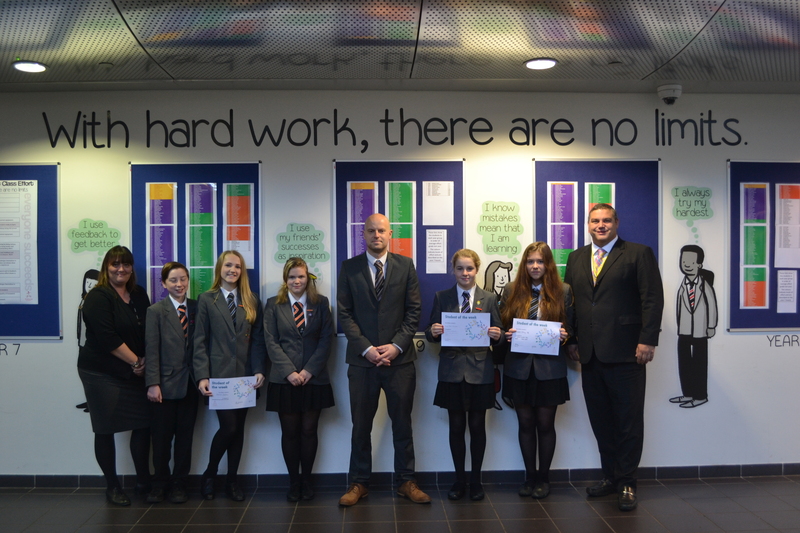 Most did very well with Word processing and in the afternoon 12 of the 14 passed their exam. Jessica Tarrant completed her ECDL today having previously been coming to the Monday and Thursday periods 6 and 7, (well done). Wednesday arrived, yet more training and students going up and down from the Learning Café to the Exam room in the Library Learning Centre. Another successful day with training, diagnostic tests and 12 exams passed, Kai Beer scoring 100% in the Spreadsheet exam (well done). Thursday seemed to flash by with the success of Kai Beer and Elle-Mae Rodger completing their ECDL (well done), 5 other exam were also passed. Friday dawned and the tech gremlin arrived as well giving Jason O’Rourke, Callum Morton and Joshua Jenkins it particular focus. With a little help from Mr Boak and a lot of patience it worked and all 3 completed their ECDL (well done). This left 7 students to take their final exams and by 3 p.m. they had completed their ECDL well done everyone. The final count was out of 14 students starting on Monday 12 had completed the course with 2 absent due to illness, they will catch up later in the year. A big thank you to all the staff involved, but the biggest to the students who triumphed of many difficulties along the way and achieved the expected goal by the end of Curriculum Enrichment Week. Mr D Roberts and Ms C Maling.